When was the last time you heard music you couldn’t quit? Do you have a GTD success story? Southeast Chapter of the National Cartoonists Society usually meets on the first Tuesday of every month. 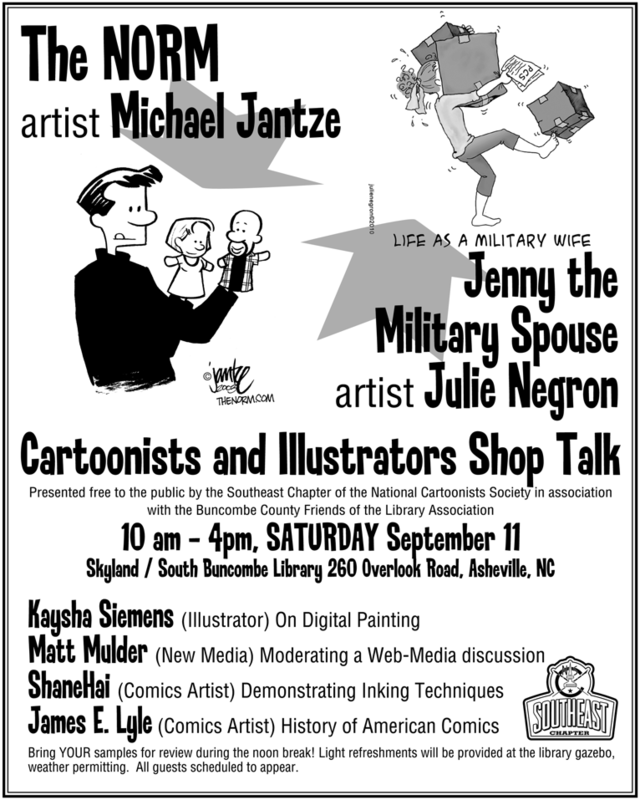 On Saturday, September 11, 2010 the Southeast Chapter of the National Cartoonists Society present a “Shop Talk” at the Skyland/South Buncombe Library (260 Overlook Road, Asheville, NC). The program will run from 10 am until 4 pm. 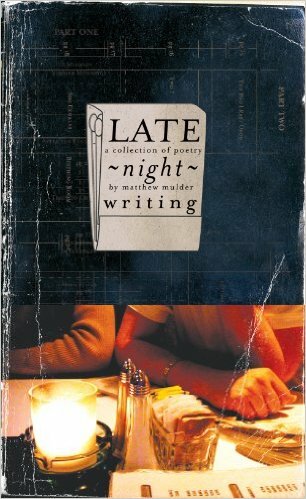 Ever since I heard Arvo Pärt’s ‘Cantique,’ I can’t escape it’s sublime power to transport me to another place outside this present time. The music moves at pace that contrasts with these modern times of mobile devices, social media sites, and emails. At the same time, ‘Cantique’ provides space for the listener to stretch and explore the expanse of the music. The music, like a pendulum, crashes into me, changes my perspective and then leaves me with a desire to walk differently. Does that make sense? A couple of years ago, I read David Allen’s Getting Things Done. One of the results of reading the book and applying the GTD system is zero inbox. For I long time I thought zero inbox was a myth. But now, when I leave from the office every night, there are no emails, zero, in my business email account. Before applying the GTD system, I hated looking at my inbox because there were thousands of emails that all seemed to be screaming, read me! Now, I read, reply, archive (for referencing later) or delete emails efficiently. What’s your GTD story? More than one in five people listen to commercial radio each week according to a study conducted by ADM and Edison Research. Nearly four in five listen to audio podcasts each week. And that’s why I enjoy producing audio podcasts! Audio podcasts provide targeted content listeners enjoy. Commercial radio is designed to hit the largest demographic listenership with the lowest common denominator of content. How do you rank as a listener/viewer?